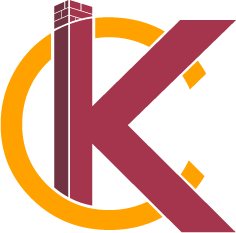 Commercial General Contractor | KC's Improvement & Construction Co., Inc. Commercial General Contractor | KC's Improvement & Construction Co., Inc. If you are looking for a general contractor in the Greensboro or Triad area, KC’s Improvement & Construction Co. has you covered. Our owner Keith Crabtree is insured, bonded, and licensed in North Carolina with over 30 years’ experience in the home improvement and construction business. He is a member of the Greater Greensboro Home Builders’ Association and A+ Better Business Bureau member, with an additional certification for lead abatement. When looking for a great contractor, it’s important to consider several factors. Keith prides himself on providing all of these elements in order to ensure a top-quality construction experience. Reliability is one of the most important qualities for a general contracting company to have. A general contractor who does not show up on time, leaving you to wait around for his eventual arrival, can turn your dream project into a nightmare. At KC’s Improvement & Construction Co., Inc. we pride ourselves on following through on our commitments, arriving when expected with tools at the ready. We keep the project on track so that your time is never wasted. A company who does not already have a strong network of reliable subcontractors will lose time searching and waiting for them to respond. By contrast, when your general contractor is well-connected, the project will progress much more quickly. Keith works with a variety of professionals in the Greensboro area who have proven their skills and reliability time and again throughout the years, meaning your project will never be left in the hands of people your contractor has never worked with before. A contractor’s rates can be a great gauge of his value. Extremely low pricing may be an indicator of poor craftsmanship, as many contractors will cut corners and rush the project in order to keep costs low. On the other hand, an extremely high price is bad for your budget and doesn’t necessarily indicate high quality. We keep our pricing in the middle, ensuring that the our customers get high-quality work at a fair, reasonable price. The best confirmation that a general contracting company is the right choice for you is great recommendations from others. A trustworthy contractor will always provide at least three references who can attest to his skills and reliability. If your contractor does not provide any references, or is offended when you ask for them, eliminate him as a potential choice for your project. Take the time to actually contact the references provided, as they are the best source of an honest opinion. At KC’s Improvement & Construction Co., we pay close attention to all aspects of a project, from the big picture to the last, minor details. 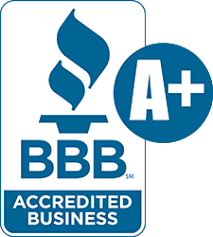 There’s no wonder we’ve been rated one of the best building contractors in the Triad. It’s not uncommon for other contractors to rush a project, skipping over or forgetting about the small details. However, the finishing touches can make or break a project, making it look careless and unprofessional if neglected. By providing reliable time management, a great team, reasonable prices, numerous references, and quality attention to detail, we aim to provide the best general contracting experience possible. We hope that you will trust us with your project as so many people in the Greensboro area have already done.